Even though there are plenty of good web-based RSS/News readers or aggregators that are available today, a lot of us still prefer to use desktop feed readers. This is mainly because desktop clients are more flexible and offer integration with other installed applications. 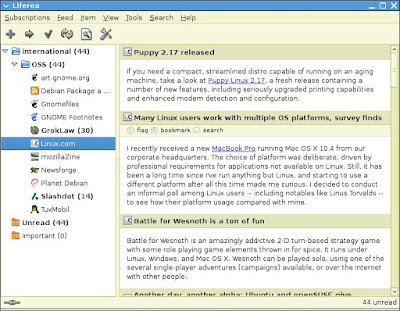 Liferea (abbreviation for Linux Feed Reader) is a GTK-based reader that goes along well with the GNOME desktop. It aims to be fast and easy to use and distinguishes itself from other UNIX feed readers by avoiding lots of package dependencies. 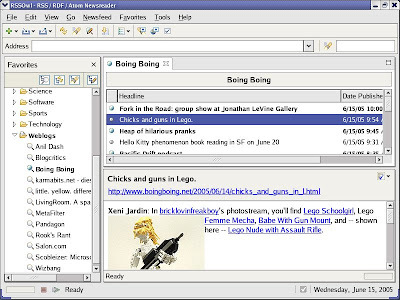 Liferea support search folders, which allow the user to have permanent searches. Each search folder contains all headlines that do match its user-defined search rules. To easily read linked articles, Liferea can view websites using an embedded browser, which can be either be Mozilla/Firefox/XulRunner, GtkHTML, or Webkit. In addition, users can configure many predefined external browsers to open links with. If you are a KDE user, then you may already Akregator installed. 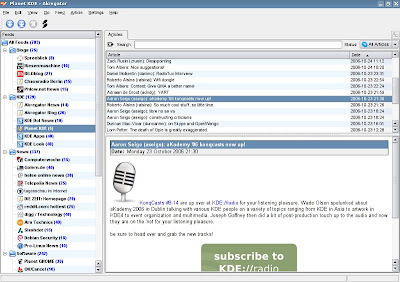 Akregator is part of KDE desktop since version 3.4, and it is distributed with the kdepim module. It is designed to be both easy to use and to be powerful enough to read hundreds of news sources conveniently. Akregator can be configured to fetch feeds within regular intervals. The user can also manually request to fetch all feeds, individual ones, or those in a selected category. It supports feed icons and embeds KHTML as an internal, tabbed web browser. Aside from Konqueror, any external browser can also be called. 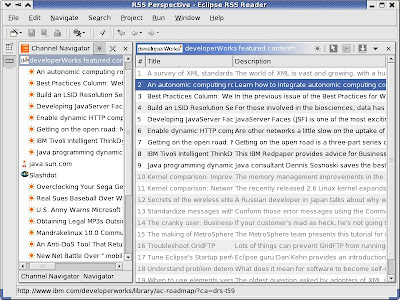 Aside from having the basic features of a desktop feed reader, Eclipse RSS Reader offers a number of advantages in comparison to other solutions since it is built on the Eclipse platform. Like Eclipse's extension points together with its plug-in based architecture support addition of new RSS format translators without changing the core application. 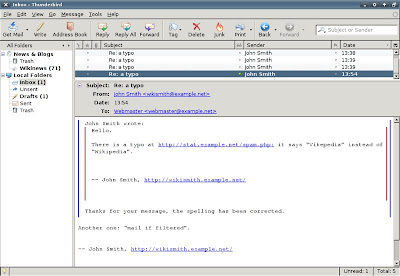 Mozilla Thunderbird is both news and e-mail client that is developed by the Mozilla Foundation. It has tons of great features like its support for extensions and themes while remaining simple and fast. It also has a reliable and quick search function. I have been using Mozilla Thunderbird for quite some time now, and I must say that it has all the important features that I need. 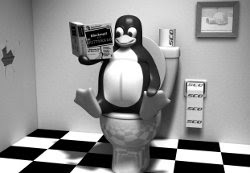 I know there are other great desktop-based RSS feed readers for Linux out there that I failed to include here, so it's up to our dear readers to mention them via comment. but which has virtual folders? I'm interested in open source web-based feed readers since my daily browsing has me reading from a minimum of 3 computers daily. SnowNews is another terminal-based RSS reader.